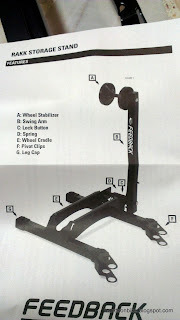 With the recent addition of the Avanti Inc 3 to my bike stable, there is a need to get some sort of bicycle stand for it. Due to the tight constraints of the Avanti frame, there is no space to mount a Pletscher double kickstand like the one on my Dahon Boardwalk. Mounting a kickstand on the left side chainstay is possible, but it does not look so good, and there is a high chance that the left foot will brush against the kickstand when pedaling. Due to these reasons, I decided to go without a kickstand on the bike itself. Although it is not so convenient, the plus side is that the bike will weigh a little bit lighter! 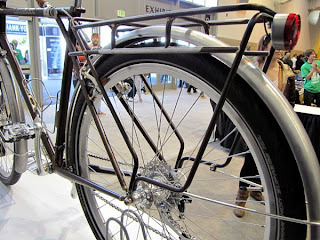 However, when the bike is at home, I will still need some sort of bike stand or rack to hold the bike. It is not ideal to lean the bike against the wall as it can be quite unstable, and may leave marks on the white wall. 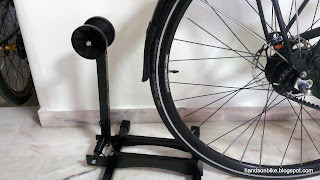 I used this commonly available bike stand to hold the Avanti upright when at home. 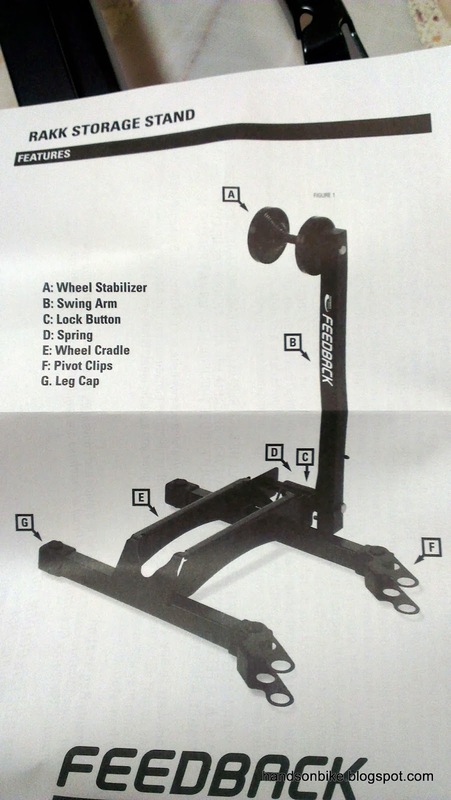 Although it works, it can be a little troublesome to have to stretch the bike stand and put it over the rear axle. This is especially difficult with the long rear axle nuts on the Alfine 11 internal hub. 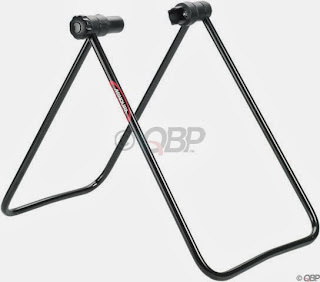 Standard bike stand available at many bike shops, costs less than $20. Works well but not so convenient to put the bike on and off the stand. In order to make it easier to put the bike on a stand, I decided to get the well-reviewed Feedback Sports RAKK Bike Stand. It is a bike stand that grabs onto the tire of the bike. Not only is this bike stand very easy to use, it also prevents spoke damage, which can happen if those slotted frame bike stands are used. 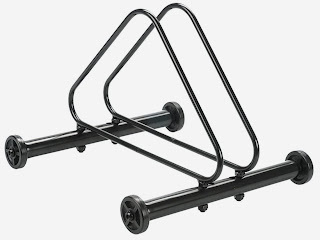 Slotted frame bike stand. Very simple and easy to use. 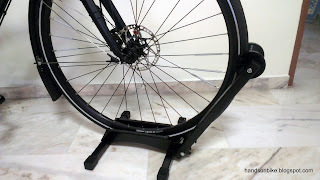 However, the downside is that the wheel spokes will lean on one side of the bike stand, which may cause damage if the bike is heavy or knocked over. 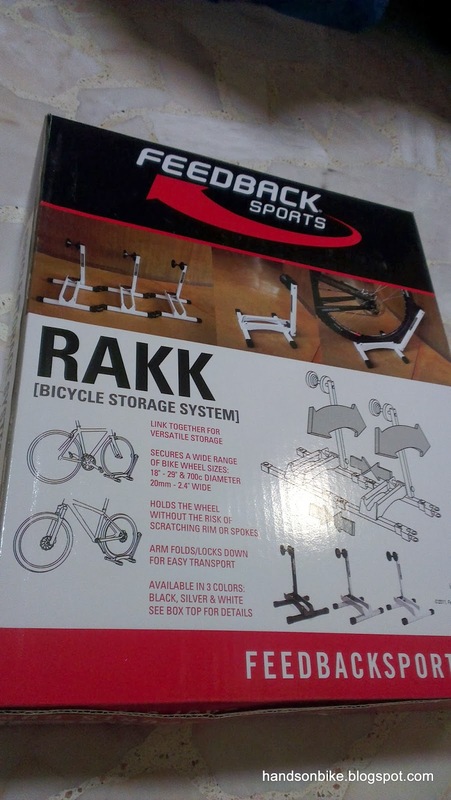 Packaging of the Feedback Sports RAKK Bike Stand. There are other cheaper brands available, but I decided to get the original one. Hopefully it is worth the money! Packs flat, which is good for storage or transportation. 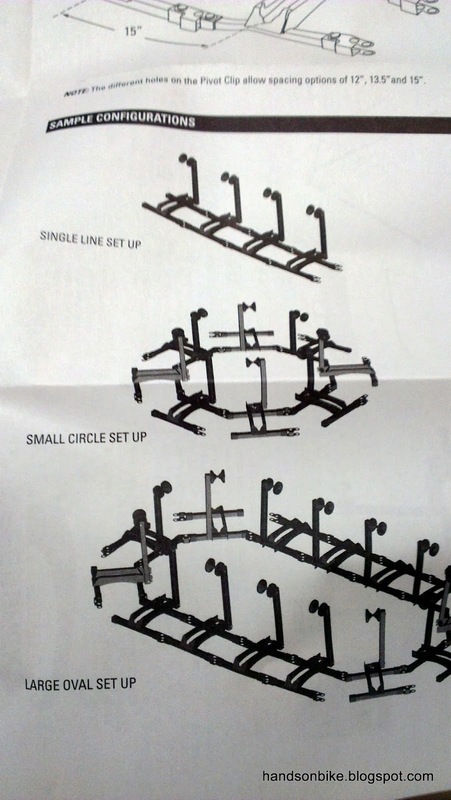 These are the official part names for the various parts of the bike stand. 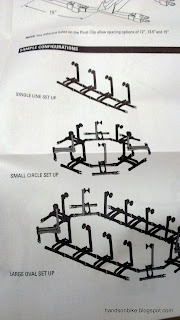 Various possible layouts are possible for shop display, by linking multiple units of the bike stand together. 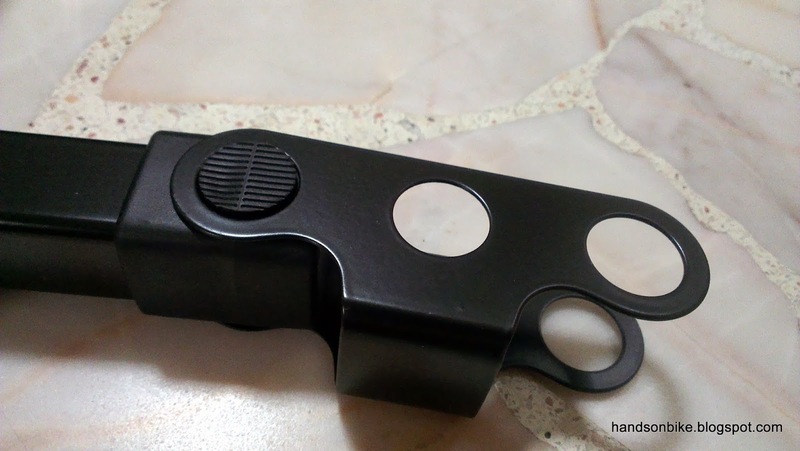 The pivot clips that are used to join multiple RAKK bike stands together. I removed them as they are not needed. 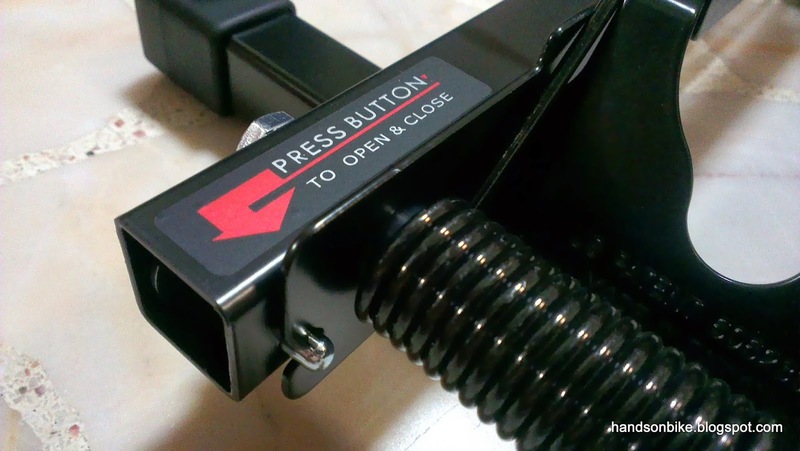 Button to lock the swing arm in the lowered or raised positions. Just press the button and swivel the swing arm into position. 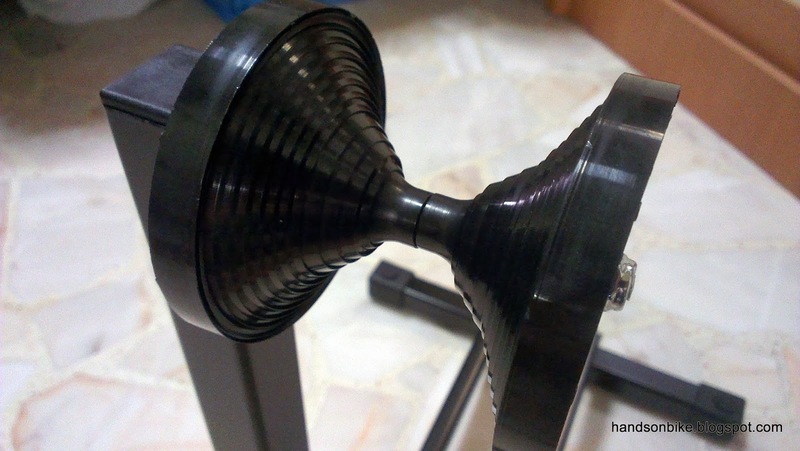 The wheel stabilizer that grips onto the tire. Multiple steps cater to all wheel widths, from narrow road tires to fat MTB tires. RAKK bike stand with the swing arm in the raised position. The height of the wheel stabilizer is fixed, but it has been designed so that it fits wheels of size 18" to 29". 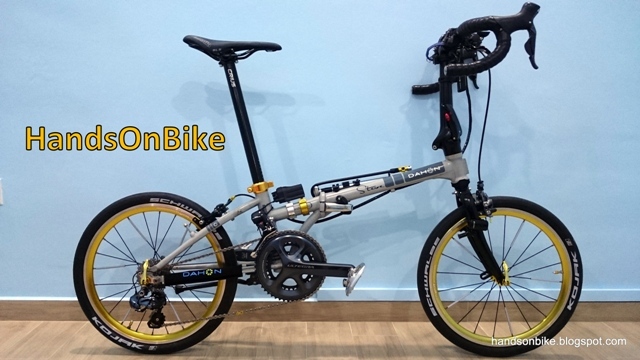 The RAKK bike stand is not suitable to be used on the rear wheel of the Avanti, as I have installed a rear fender. The rear fender is quite long and covers all the way down, and this means that the wheel stabilizer cannot fit onto the tire. 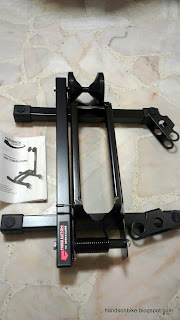 In this case, I will be placing the front wheel into the RAKK bike stand. It is still quite stable and holds the bike nicely. 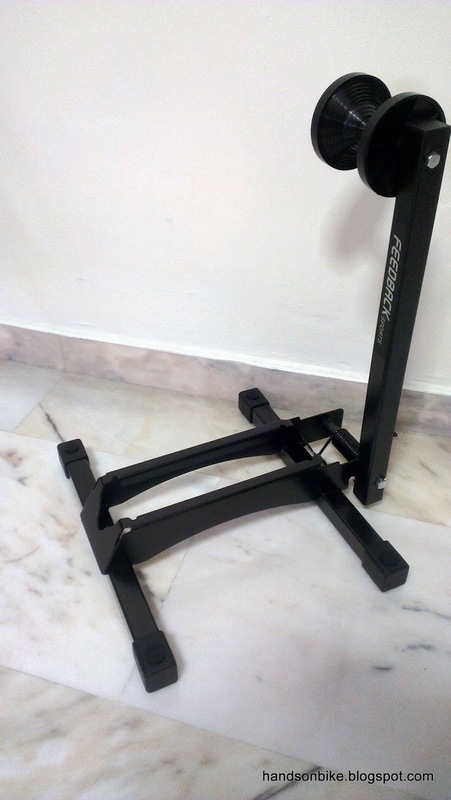 With this RAKK bike stand, putting the bike away is very simple. Just roll the front wheel into the bike stand and it is done! The spring on the swing arm will apply firm pressure on the tire and secure it nicely. To remove the bike, just push the bike and let it roll off the bike stand. Although this bike stand is quite expensive, it really works very well. There is no need to set it up or spend time putting the bike onto a stand. 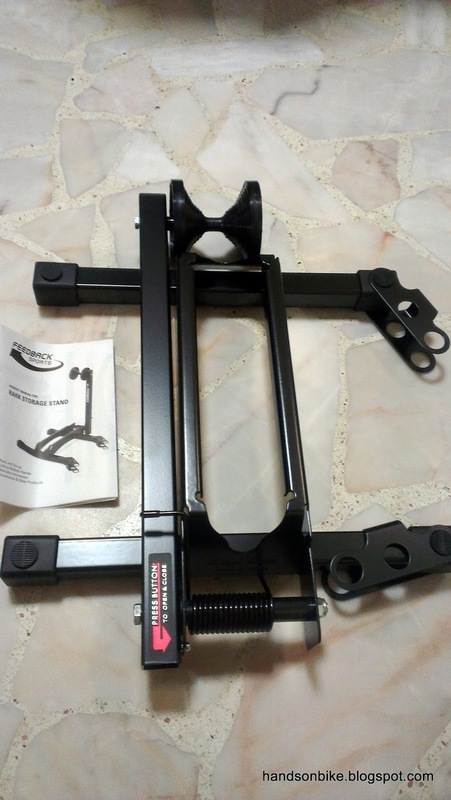 The initial cost of the bike stand is easily offset by the time and effort saved. Recommended for bike storage if your bike does not have a kickstand! I have to say this bike stand is good. I don't have reason not to buy one. Thanks for recommendation. My stand just was broken. I need a new one. Could you show me picture of your broken stand ? and how ? I'm interested to have one. About SGD 60. Need to check which bike shop has this in your area.